Bondo Spot Putty and Hardware Studios forthcoming Merrimack Dropship. So the other putty I use along with Perfect Plastic Putty is Bondo Glazing and Spot Putty (BSP). If the only exposure to “Bondo” is from cheap repairs to dents and rusts on cars, this is a different product (though sold by the same people). 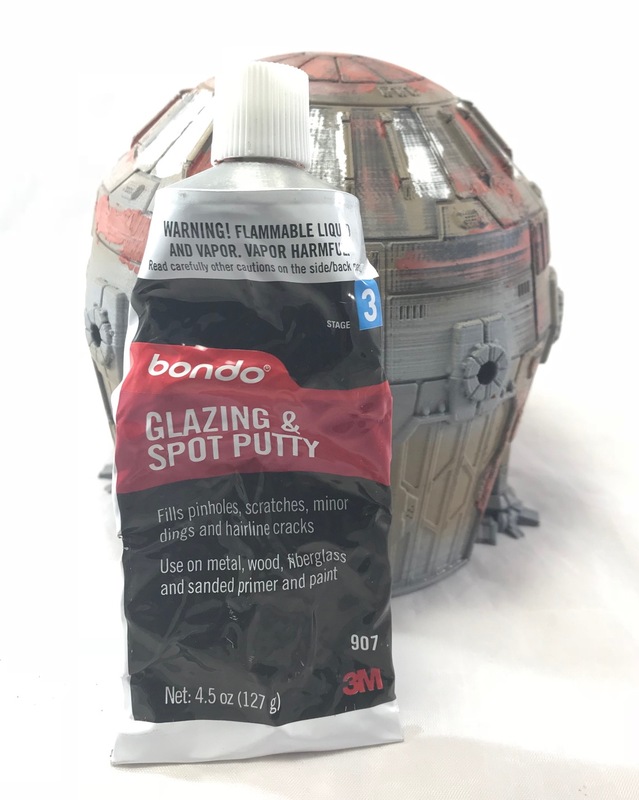 The Bondo that most people think of is a two-part polyester filler that requires a small amount of hardener to be mixed in with the putty to get it to dry. That stuff has its uses, but not what we’re looking for. BSP is a one part putty that is used in the automotive refinishing field to fix small imperfections. Because of that, it dries quickly, it dries hard, has very minimal shrinkage and, most importantly for us, sands beautifully. 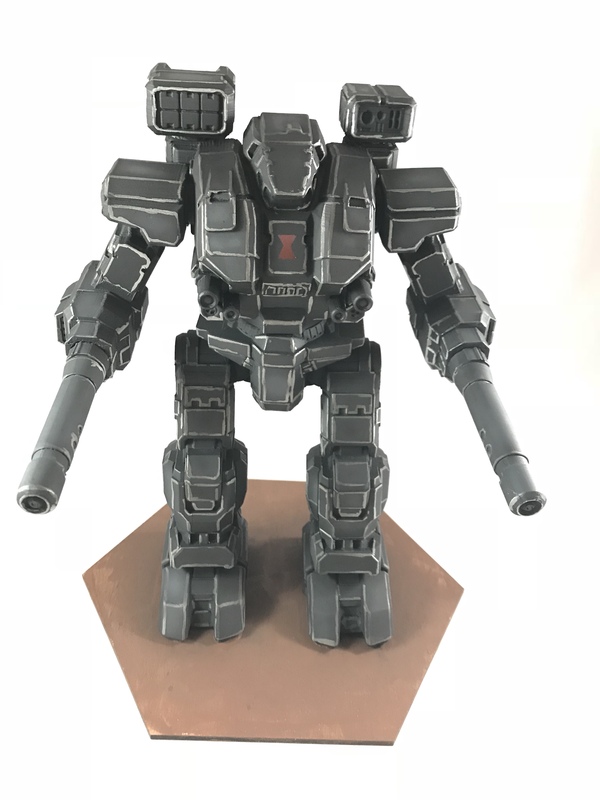 from a functionality standpoint, it’s perfect for fixing imperfections in scale models, terrain, miniatures and especially 3D FDM Prints. However, BSP is solvent based, which means it stinks to high heaven. So make sure you apply it someplace that is really well ventilated as well as wearing some sort of respirator. 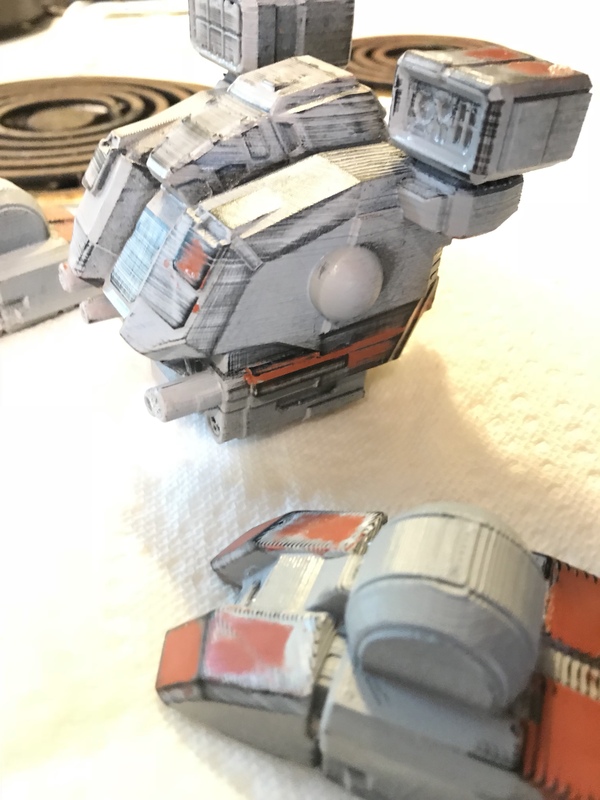 To make it even stinkier, BSP can be thinned down with Lacquer Thinner (This also works on Tamiya and Squadron putties) to help get into tighter areas. Now you may be asking why would you use this in place of the Tamiya or Squadron putties that you may already be using? First off, it’s cheaper. A 4.5 oz tube of BSP on Amazon costs about $7.00. A one ounce (or thereabouts) tube of Tamyia costs around $5. Secondly, you can often find BSP locally—any place that has a car section probably has it. Thirdly, no shrinkage. Unlike George Costanza taking a swim, you’re not going to have to worry about explaining why your putty has shriveled in the seam. BSP doesn’t shrink when it’s thinned with lacquer either, which is really nice. In my experience, both Tamiya and Squadron end up with fairly significant shrinkage. Even more annoying it happens slowly. 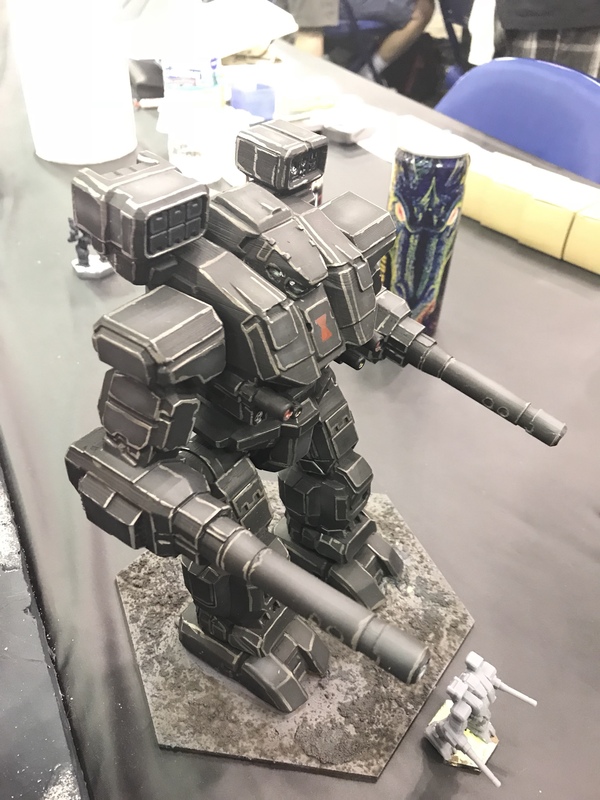 So you could be finished with your model, and then wonder how you missed fixing the rest of that seam. Don’t worry, you’re not losing it, those putties just shrink slowly. Aside from the smell, there is one other drawback to BSP, and that is that it tends to dry too quickly. If I don’t work quickly enough, within 90-120 seconds, you’ll start to see the putty skin over. So I usually try to only squeeze a bit out at a time. Mixing in Lacquer thinner not only thins it but also lengthens the working time. 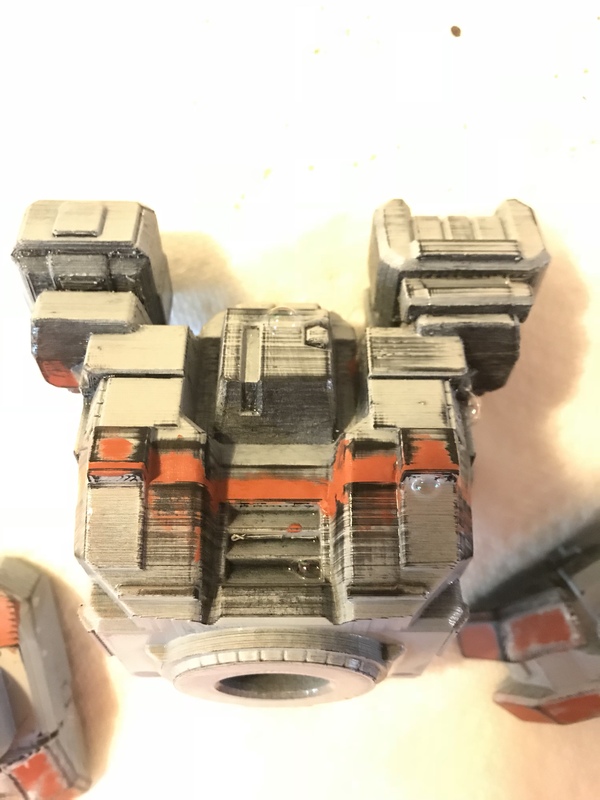 If you have the ability to use BSP (i.e ventilation and respirators) and you’re going to be working on projects that are going to need some bulk filling (short-run scale model kits, Forge World, any FDM print), I strongly recommend picking up a tube and seeing how it works for you! 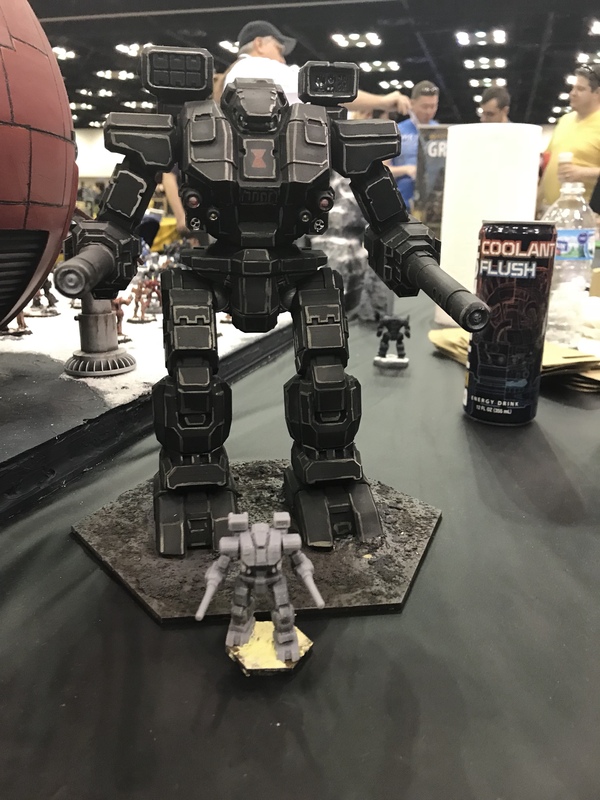 Here’s some “In Progress” pics of the 1/60 Warhammer I did for Catalyst Game Labs for GenCon. I had less than two weeks to get this and the Marauder finished. 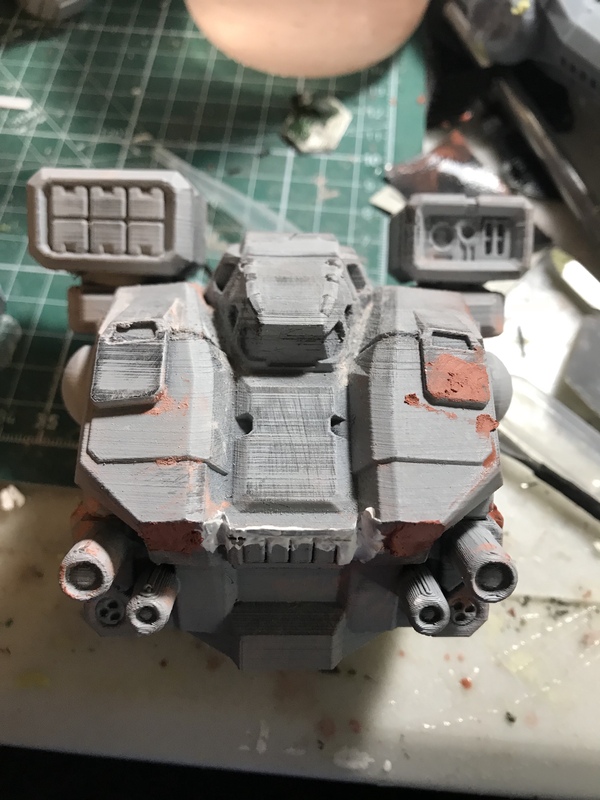 The Marauder was mostly printed on the Form 2, so that required relatively minor filling. The Warhammer on the other hand was done on my CR10s. Blending the seem between torso sections. 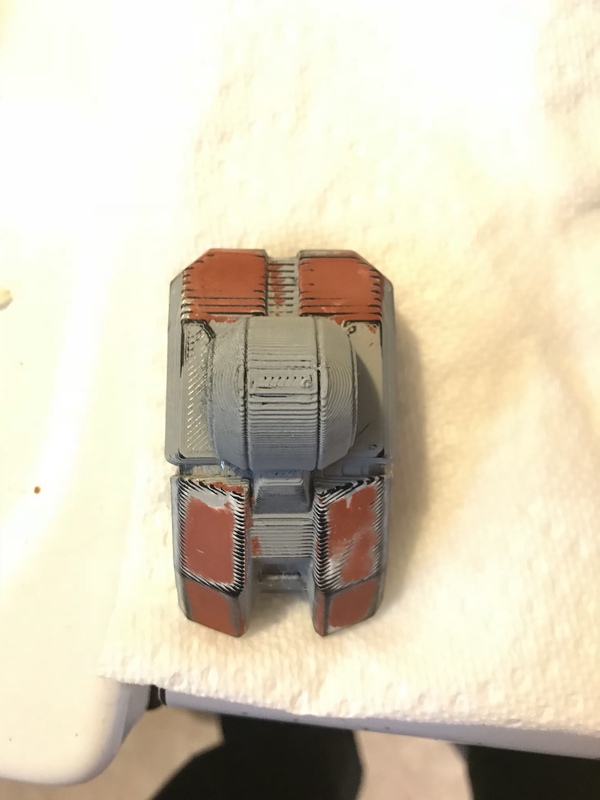 Smoothing the panels on the front of the Torso. Side View of the torso and of the foot.